Tanzania’s federal government has been forced to issue a warning to politicians competing in the October elections not to engage in witchcraft in an attempt to improve their odds of winning, reminding candidates that witchcraft was banned nationally in January and any attacks on people with albinism–whose bodies are used in good luck potions–will be prosecuted. “I want to assure my fellow politicians that there won’t be any parliamentary seat that will be won as a result of using albino body parts,” Deputy Home Affairs Minister Pereira Silima warned politicians last week, noting that the number of attacks on albino people have tended to increase during election season in the past decade. Witch doctors will pay up to $75,000 for a full set of albino body parts, which they later cook into potions and sell at high prices. The demand has led to a black market industry in which individuals try to kill–or at least hack off the limbs of–albinos in their neighborhoods and sell whatever body part they can hack away at a high price. Estimates place the albino population of Tanzania at around 30,000, one of the world’s highest. The UN estimates that more than 70 albinos have been killed since 2000 to be used in witchcraft potions, and many more survive attacks in which they lose arms or legs. 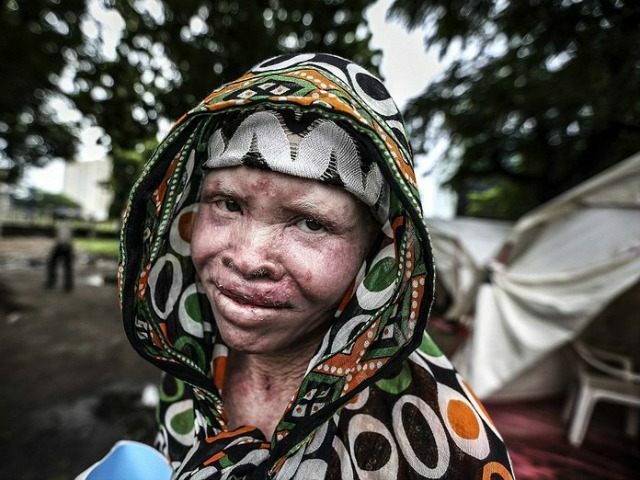 Before Tanzania banned witchcraft in January, only ten people had been convicted for attacks on albinos, and activists have attributed this to belief in witchcraft being most prevalent among Tanzania’s wealthiest and most connected. Even last year the numbers might have been higher because these crimes are very intimate. Mostly, a close family member, even a father, is involved in the killings and abductions. In such cases silence wins; his wife will probably be an accomplice in the crime. 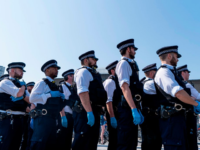 Nothing will be said of the matter again and the police will have no chance of prosecuting anyone. Since Tanzania banned witchcraft in January, 17 people, mostly convicted witch doctors, have been sentenced to death for attacks on albinos. But, as the Daily Mail notes, buyers of albino body parts have never been prosecuted–only the sellers. Police have been ordered to shoot anyone attacking albinos, and the Tanzanian government has reportedly encouraged citizens to kill those found with albino body parts. This leaves the politicians looking for a campaign boost free to navigate the black market. The encouragement to kill, however, has led to a witch hunt against women believed, but never proven, to have made potions out of albino people. Given that the unrest occurs largely within poorer communities, poorer, rural women are targeted as witches; and so far, mobs have killed more than 1,000 between February 2014-2015, according to the Center for Advocacy in Rural Development. Most have been hacked or stoned to death, attacked with rudimentary weapons in retaliation for the wave of albino assaults.